Winner, Winner, Chicken Dinner! Congratulations to these lucky ladies! Please forward me your physical address in order for me to have the Dove goodies sent to you. Thank you to Dove South Africa for including me in this incredible campaign, it has been an amazing experience! Thank you so so so so much!!!! I am so excited I could plutz! Thank you Dove as well! 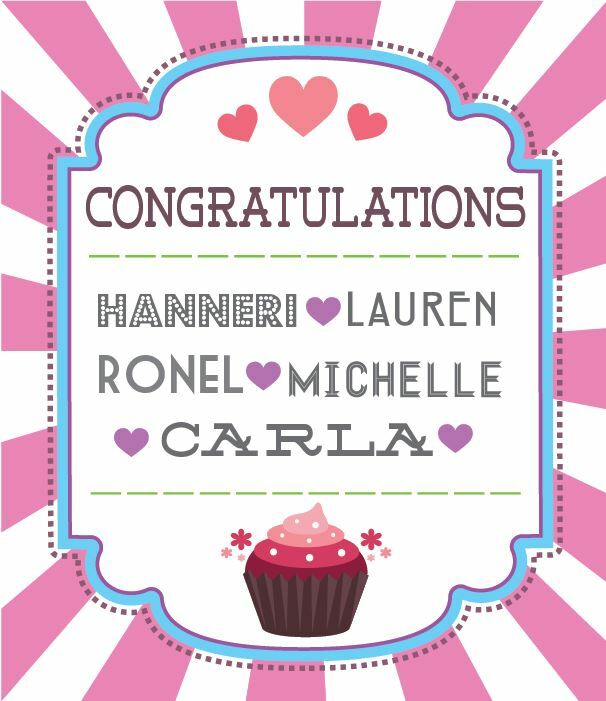 Congratulations people, and THANK YOU Luzanne for such a wonderful blog with such inspiring ideas! Thank you Luzanne I am so happy I discovered your blog. Thank you for reminding us to love our own uniqueness and to freely compliment others . Thank you to Dove as well. Yours was the first advertising campaign I shared on my Facebook page I am super excited to try out your products! OMW! Thank you so much, I am so happy!